In a series of blog posts, we’ll discuss web design’s best practices when it comes to usability, responsiveness and accessibility. We care about great design and we’d love to show you that a little CSS love goes a long way. In this post I’ll look at the Twitter search form, to replicate its elegant design. 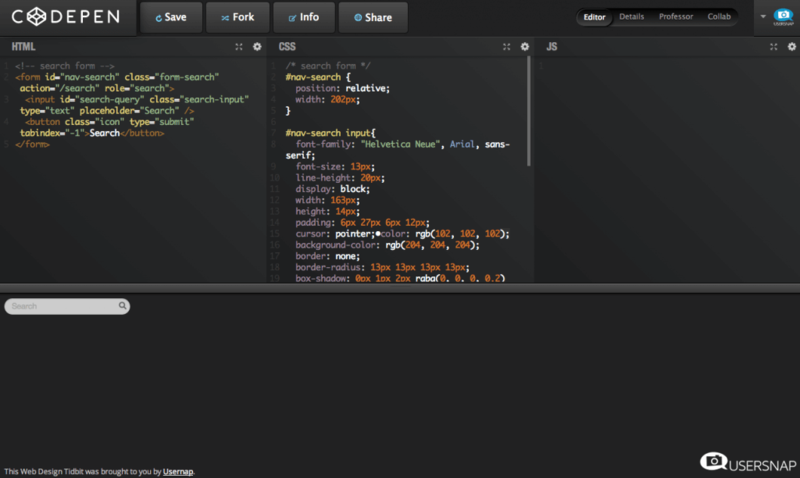 Now Twitter wraps it’s elements in a whole lot of divs and spans. I’ll drill it down to the input-element and button, to keep things accessible. Using only HTML, our search form looks a bit ‘boxy’. Neat, huh? Feel free to play around with this Codepen! If you have a request for an upcoming edition of the Tidbits series, let us know in the comments!